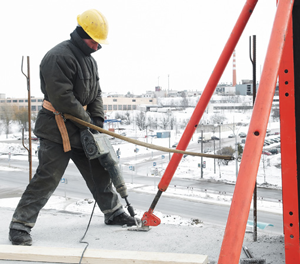 Electrically heated clothing helps workers remain efficient when temperatures drop. impact on productivity for those who work outside. as the fingers and toes to the core organs in order to maintain the body’s necessary life-supporting temperature. heated jackets and other garments. Manufacturers have built in a variety of features. will be ready to be used again in 30 minutes. Most manufacturers provide a one-year warranty. Most jackets weigh about half a kilogram. required for batteries and the charge pack.